First up this month is an intriguing album released by Bostonian one man band David Newton, who releases product under the alias of Albion-Tharotia. 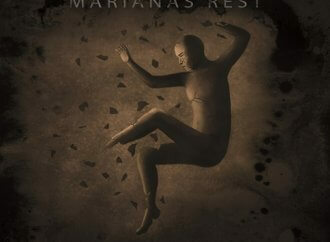 Based on a dystopian novel by Kjorteo Kalante, The Afflicted, detailing a Survivors-style world ravaged by super viruses Newton’s new album Poison Skies might be a bit of a struggle for power metal fans raised on the muscular likes of Symphony X et al – it’s definitely an acquired taste, especially Newton’s voice – but it’s definitely worth the effort and a bit of perseverance, mixing as it does highly melodic passages (think Dragonforce without all the shredding and blast beats) with an almost hard rock ear for a tune and some nicely riffy guitar work in amongst the cinematic keyboard parping. Slightly less mysterious are Russians Beorn, who released their solidly satisfying Time to Dare at the tail end of last year when Sentinel Daily was off-air. 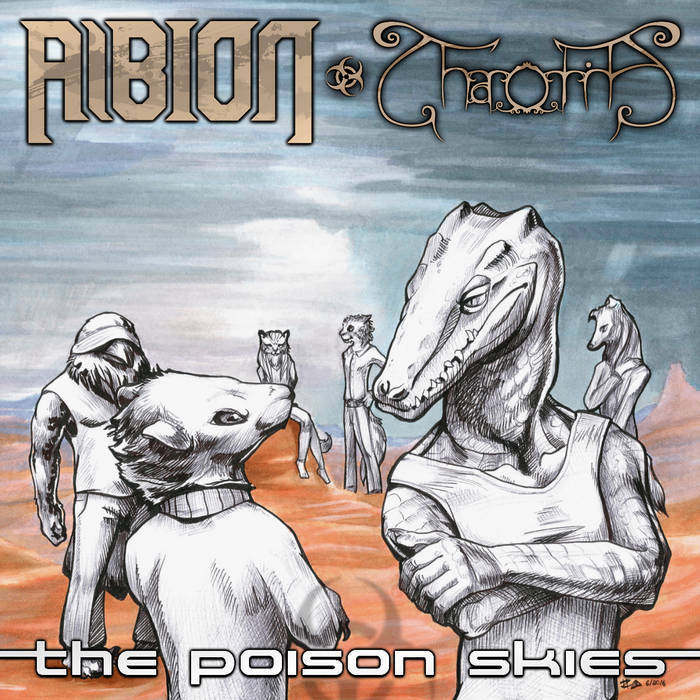 Far more straight up than Albion-Tharotia, There’s something of a concept behind this album, too – something about Space Pirates, I think – but stylistically Beorn don’t stray too far from the power metal path and never fail to be less than impactful, largely thanks to the acrobatic vocals of Gregory Kryukov, whilst the guitars of Andrey Zvonaryov and Pavel Salikov pack a very meaty punch indeed. Add in some nice symphonic keyboard stabs and the odd memorable chorus and you’ve got the sort of material latterday Helloween might be proud to call their own. 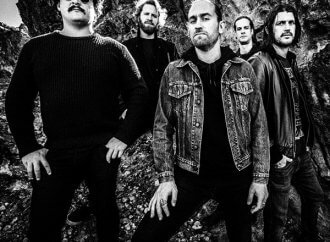 Much more basic, much thrashier, but no less satisfying are Blackgate, who hail from Grand Rapids in Michigan in the USA. 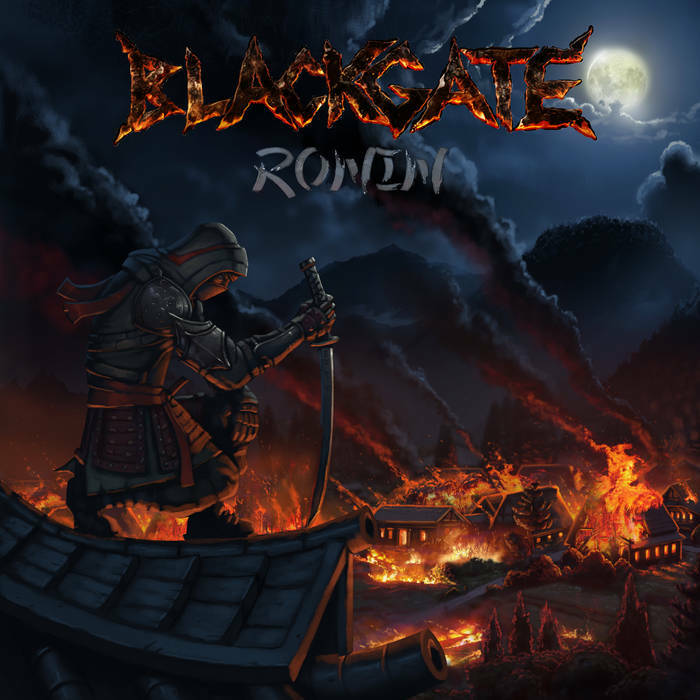 Ronin was released earlier this month and is a feast for fans of the riff. The production here is only very basic, but that doesn’t detract from the band’s obvious skill both as players and songwriters; Opening with a grandiose instrumental (BPS) is definitely a nod to the Gods of yore, and when the band kick in with first song proper Ronin, you’re left in no doubt as to where this band is coming from. 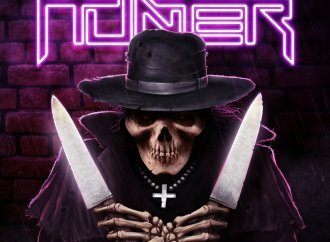 Proper heavy metal with thrash overtones, Blackgate party like it’s 1984, and there’s nothing wrong with that. 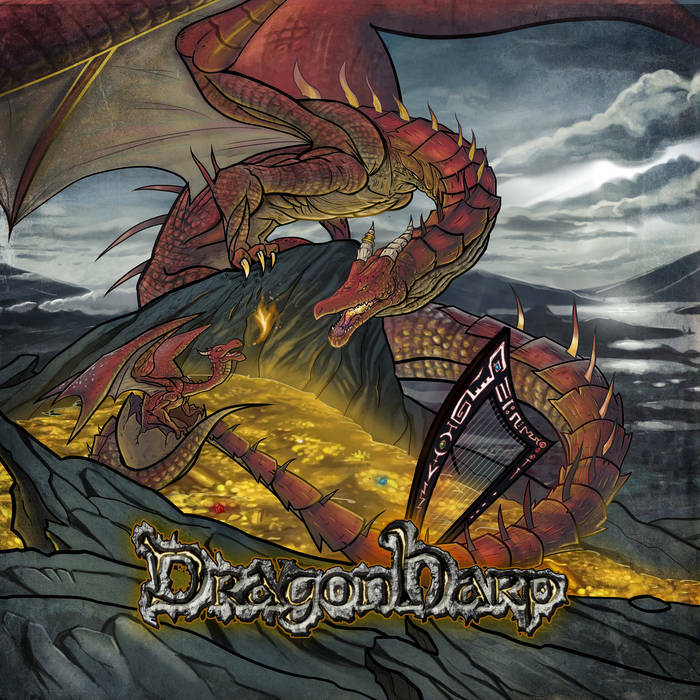 Italians Dragonharp might have the archetypal power metal name – and there are certainly stereotypical elements to their music – but their one point of difference (and there’s a clue in the name) is a big one: They are surely the first and only band to harness the power of the harp as a heavy metal instrument! Harpist Rossana Monico formed the band five years ago with her chosen instrument front and centre in the mix, and while she sometimes struggles to cut through the Rhapsody-styled sturm und drang going on around her her playing definitely adds a certain something to the Dragonharp sound. 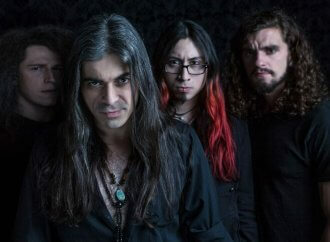 Germans Involution describe themselves as ‘Heavy, melodic, straight, poetical and philosophical power metal with both unique voice and guitar leads’, and whilst it’s hard to divine anything particularly different about keyboard player Erdmann Görg‘s vocals or the guitar work of Marcel Levermann and Bastian Wehowsky, the band aren’t fibbing about the heavy and melodic bits. 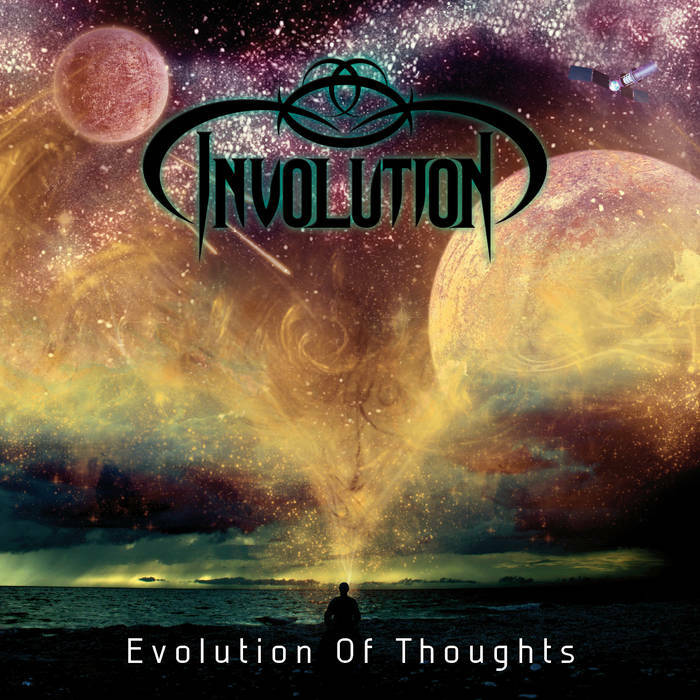 It’s true that the Germans do this music probably better than anybody else, and there are many of them doing it, but Involution are good enough to warrant your attention. 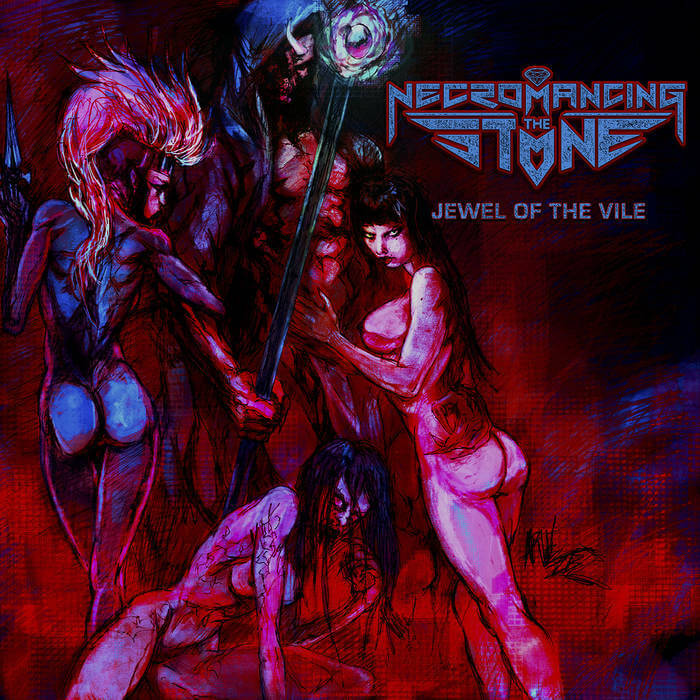 Much heavier are Pennsylvanians Necromancing the Stone, whose brilliant album Jewel of the Vile is due to drop in a couple of weeks. 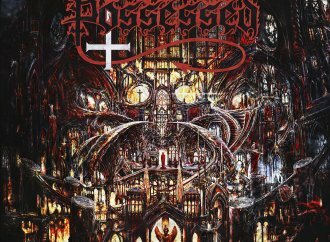 Catchy, technical thrash is the order of the day, although the classy vocals of ‘Big’ John Williams stop things from careering too far off the rails and give proceedings a power metal veneer that perhaps is otherwise lacking in the riffular, muscly music. Megadeth lurk everywhere in the shadows, but the band have enough of their own personality to hold their own through even the most Mustaineesque moments; You’ll absolutely love this is double-kick-drum-propelled riff mayhem is your bag. Trust me. 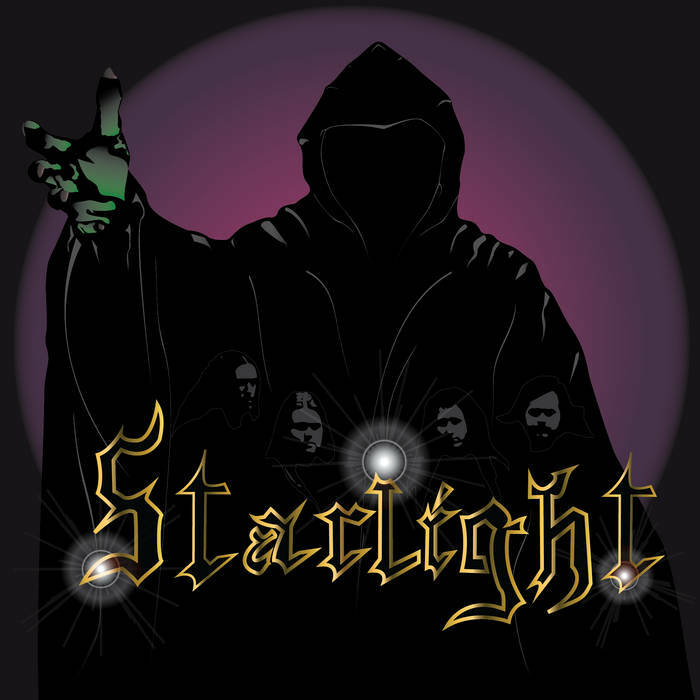 Starlight, from Sweden, have put together a delightfully old school three track demo that once again owes the very essence of its existence to the NWoBHM. Vocalist Alex Härkesjö has the sort of wailing voice all singers of up and coming bands seemed to have in 1982, sometimes teetering on the edge of disaster but always delivering with 100% commitment, whilst the rest of the band deal out the heads-down riffage with a commendable amount of panache and skill. 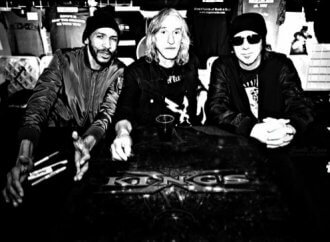 Bassist Bror Bengtsson even has the Steve Harris sound down pat to add to the authenticity of it all, but none of this would mean a thing if the band hadn’t come up with some decent songs to round out the package – and the good news is they have. Even better news is the fact that the band are to record a full length in the near future, but for now just enjoy this to be going on with. More Pennsylvanians! 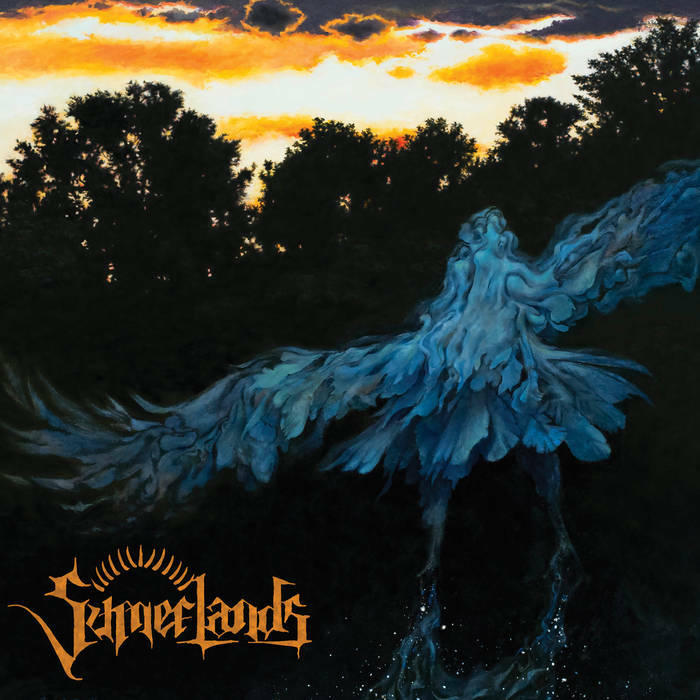 Exciting times are ahead for Sumerlands, who’ve recently inked a deal with Relapse Records, the fruits of which will be revealed when the band release an album through the label in September. 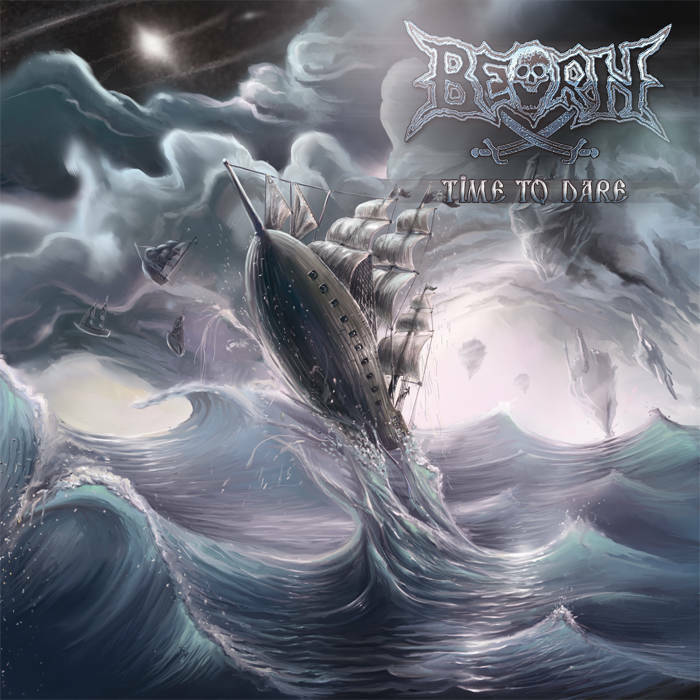 Possessed of a beguiling sound that mixes prog metal themes with bombastic mid eighties metal dynamics – think Malice, think Icon – it’s hard to see who won’t be bowled over by this band! 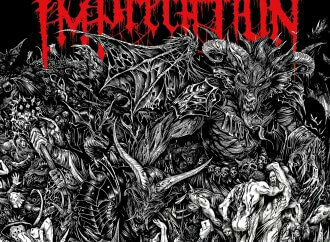 Our last stop on the Crusade for this edition brings us to Ohio and the glacial folk metal of Winterhymn. 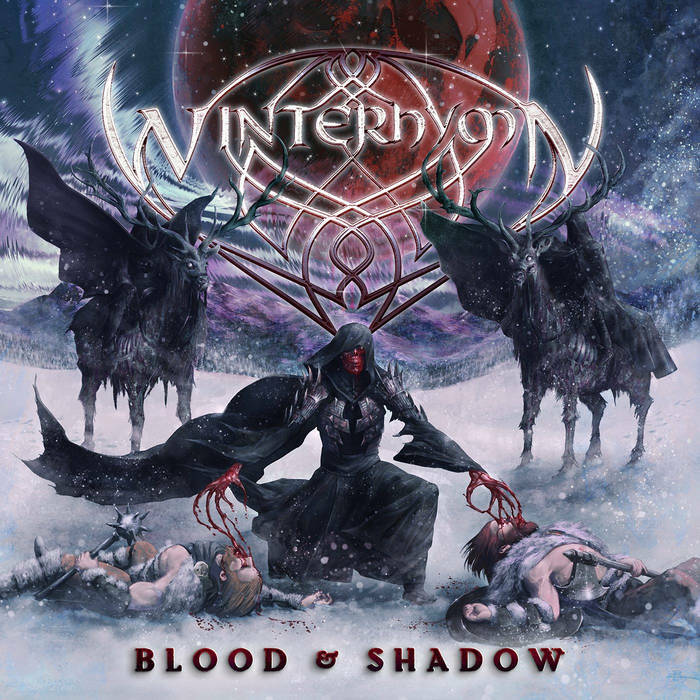 Despite following the folk/battle/Celtic blueprint pretty faithfully, Winterhymn still inject enough of their own personality into proceedings to make it worth your while giving them a listen. 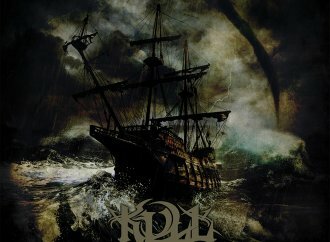 Vocalist Draug has a great voice – both clean and growling tones are covered effortlessly – and Blood & Shadow – which was released last month – really does stand up against the established greats of the genre. That’s it for now – If there are bands you would like to see featured in future editions of the Crusade of Power, please let us know! Hail and Kill – Ferry. Hey David – it’s a pleasure! 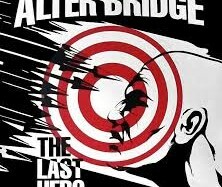 Really enjoyed listening to the album!